The tunnel near the top of Mt Messenger first opened in 1916. It was a single lane with a sharp gothic peak. This was more than adequate for the amount and size of traffic that used the road at the time. 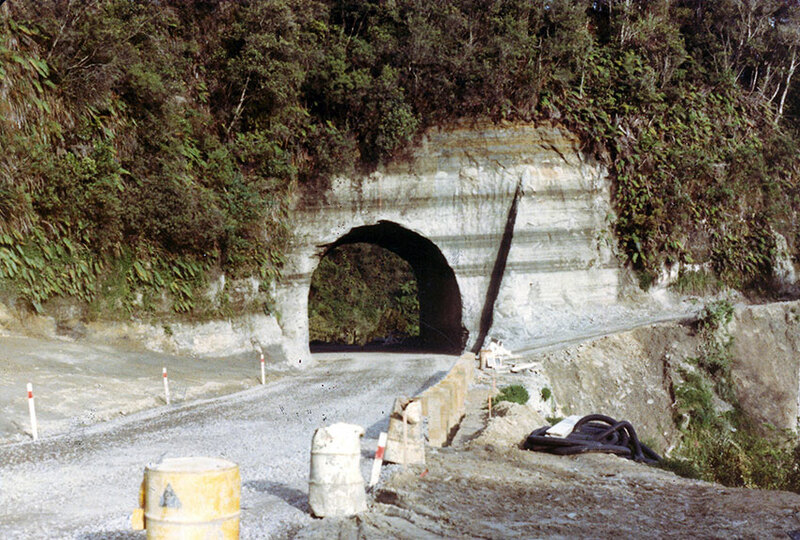 Mt Messenger tunnel. 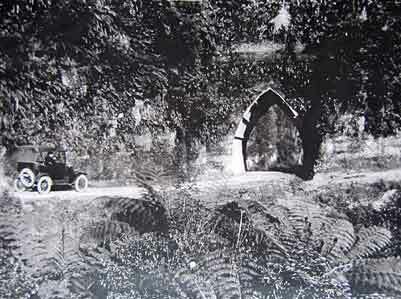 The old road can be seen to the right of the tunnel. Previous to the tunnel being installed all traffic had to negotiate a hair pin bend. Many a passenger preferred to get out and walk rather than risk going off the edge of the precipice. The peak was lost when the tunnel was expanded to two lanes in 1990. Further work will be done on this route with the possibility of this section of the road no longer used as SH3. Thank you so much for sharing this information and the old photos. 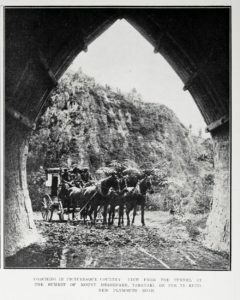 Today while scanning NZ family holiday b/w photos, I came across one featuring the tunnel, with myself, parents and little brother standing in front. Took some searching but your web site has solved the ‘where’ problem. It was taken some 65 or more years ago, and you have explained the difference in shape now. A transplanted kiwi, born and bred and holidayed in NZ. So pleased we could help you out in your search.